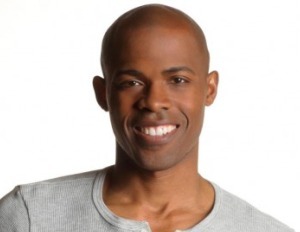 You may recognize Dr. Ian Smith as the straightforward, yet affable doctor on VH1’s fitness show Celebrity Fit Club and the Emmy-award winning talk show The Doctors. His latest venture is his NY Times best selling book, Supershred, which lays out a program to lose 20 lbs in 4 weeks. Ambitious as that sounds, it’s an example of his passion and confidence in helping make the American population more healthy and fit. Dr. Ian sat down with BE for a quick chat on how folks can get fit healthy habits into their work schedule and what being healthy means to him. What does being healthy encompass? It’s mental physical and spiritual. The physical is being more in tune with your body and having control of your weight. Excess weight puts physical drain on on your body, on your joints and zaps your energy. It’s also about understanding your BMI (body mass index) and controlling it. If I could write one prescription for a healthy life, it would be to exercise. Movement affects every system in your body. For the mental, it’s someone who is happy, confident and balanced. Someone who has a big perspective on life and is not caught up in the minutiae. One who has a healthy approach to failure just as they have for success. As for the spirit, it’s not religious but finding your inner peace and understanding your core – who and what you are. That may sound cliche but a lot of people are out of touch with who they are. People are so preoccupied with paying bills, meeting deadlines and making money. People lose connection with who they are and you see a lot of people out there just …wandering. Your latest book, Super Shred offers ways to lose 20 lbs in 4 weeks by counting calories and exercising. How do you suggest that can one keep up a diet and exercise routine in a busy schedule? SuperShred is built for people who are busy and want to lose weight quickly on a hectic schedule. We tried to create a schedule where everything is spelled out for you everyday. We also created a program where the busy person – the house mom, the person at work or the retiree – can make adjustments to their schedule. What we have seen from the thousands of people who have been on the program is, they can adjust it to their lives. [Weightloss] programs must be sustainable as well as challenging. Health and Wellness Editor, Suncear Scretchen is a Certified Holistic Health Coach and Ayurvedic Counselor who wants to help make the world a healthier place. 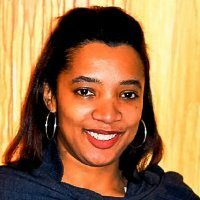 Share your thoughts and ideas with her on Twitter (@ConsciousChick).